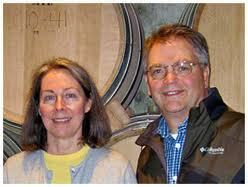 In 1989, Ken and Grace Evenstad came to Oregon with a vision to produce top quality pinot noir. 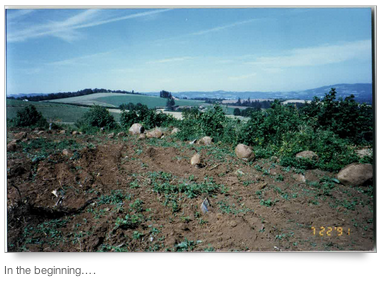 They purchased 42 recently logged acres atop the renowned Dundee Hills in Yamhill County, Willamette Valley, where Oregon Pinot Noir began. 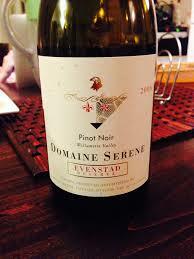 Domaine Serene (named after Ken & Grace's daughter, Serene Evenstad Warren) produced their first wine in 1990, earning 90 points from esteemed critic, Robert Parker Jr.
Erik Kramer is the winemaker for Domaine Serene. Like many others in the field, winemaking is a second career for Erik. In 1999, he left a successful profession as a corporate geologist in the oil industry to pursue a career that allowed him to follow his passion for science and appreciation for fine wine. That career change prompted him to obtain a Postgraduate Diploma in Viticulture and Enology from Lincoln University in Christchurch, New Zealand, where he graduated with honors. 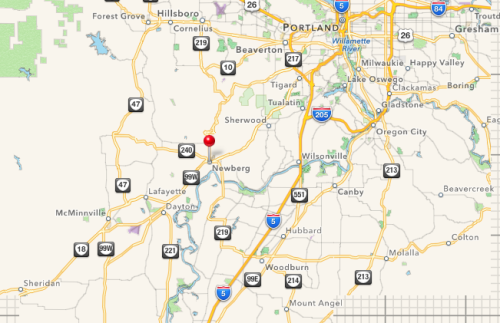 Erik has now been making wine in Oregon’s Willamette Valley since 2004. He joined Domaine Serene as winemaker in 2011 and has also worked for several highly acclaimed wineries in Oregon, New Zealand and Washington. Winery Hill Estate is an 80-acre hilltop in the Red Hills, one mile North of the Evenstad Estate. The winery is built into the West side of the hill. Twenty acres of Dijon clone Pinot Noir are planted on gentle, South and West-facing slopes along the driveway with elevations of 800 to 850 feet. The volcanic soil is Jory type. Evenstad Estate, crowning the southernmost hill in the prestigious Red Hills of Dundee, is one of the most unique vineyard estates in the world, ranging in elevation from 520-800 feet. The seven vineyards of this site face East, South and West, with views of the Cascade Mountains, the Coast Range, and the Willamette Valley. Clones, rootstocks, microclimates, slope and elevation allow for the creation of distinct and complex wines. 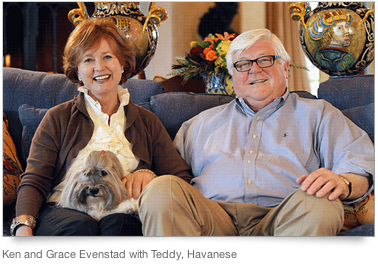 There are seven producing vineyards on the Evenstad Estate: Mark Bradford, Fleur de Lis, Etoile, Gold Eagle, Clos du Soleil, Grace and Côte Sud. The soil in all of these vineyards is Jory type. It is an ancient, crumbling volcanic soil with a very distinctive red color. Jerusalem Hill Estate is about 13 miles South of the Evenstad Estate, on the East side of the Eola Hills, Yamhill County, Willamette Valley, Oregon. The Estate encompasses 90-acres of gentle East-facing hillside on Jerusalem Hill. Jerusalem Hill Vineyard has 55-acres planted to Pinot Noir. Vineyard elevation is 200-300 feet. The sedimentary soil is called Woodburn. Medium purple colour in the glass with powerful fruit and smokey nose. Black cherry, blackberry and raspberry fruit are expressed with oak in the background. Silky smooth with a long finish. Excellent. A classic Oregon Pinot Noir.